The Pacific Fisheries Environmental Laboratory (PFEL) is a research unit of the National Marine Fisheries Service's Southwest Fisheries Science Center. It is home to the Pacific Fisheries Environmental Group (PFEG). 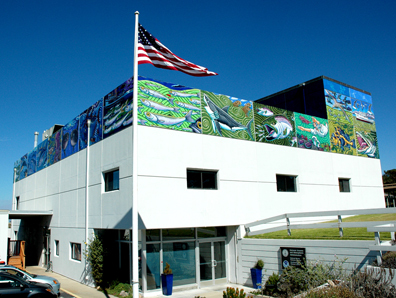 The group was formed in 1969 to develop data bases and to conduct research on fishery-related effects of natural environmental variability over a broad range of scientific, management, and operational concerns of the government and the fishing industry of the United States. In addition to its research mission, PFEL distibutes environmental index products and time series data bases to cooperating researchers, taking advantage of its long association with the U.S. Navy's Fleet Numerical Meteorology and Oceanography Center. PFEL is also the west coast regional site for the NOAA CoastWatch program, which provides rapid dissemination of satellite observation data to governmental, academic, commercial, and public users.